A quirky marriage advice card that is sure to make you smile when you look back at them. Great alternative to a guest book. Our advice card is a fun and quirky way of getting your guests involved in your wedding day as well as giving you wonderful memories of your wedding day from your guests perspective. These cards will look great on your wedding tables no matter what design you have chosen for your wedding stationery. The cards are sold in quantities of 25 which helps us to keep the cost down to you, our customer. Individual price for each card works out to be 75p. 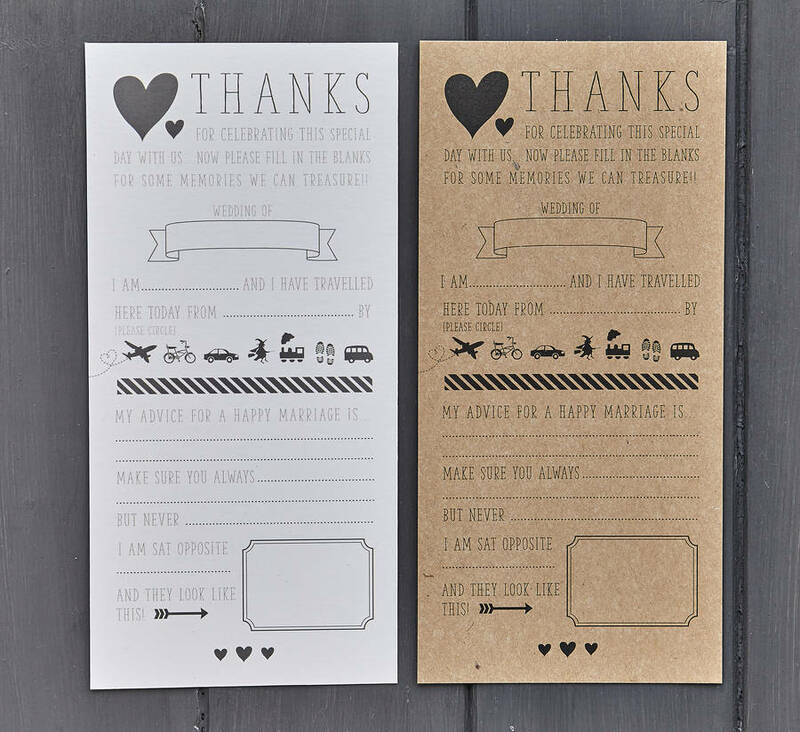 Our advice card is available in either off white or kraft card. You can let us know which you would prefer via the drop down box when placing an order. Either uncoated 325gsm white card or 300gsm brown kraft card.